Concerns about a key plank of in the Government’s transport strategy were highlighted last week by the public accounts committee in its report on funding for local transport. The committee is not convinced that government has thought through the risks of devolving more control over the funding of major transport projects to a local level. Last year £1.2 billion of the £2.2 billion provided by the Department for Transport to local authorities was not ring-fenced, and there is no monitoring as to whether this money is actually spent on transport. The Local Government Association has accused the committee of “baseless speculation and insinuation”, and that councils and local authorities know best the needs of their areas. Their view is that a return to local and regional transport decisions being made by civil servants hundreds of miles away would be a retrograde step. There is a quite legitimate debate to be had about which bodies should make decisions pertaining to local transport funding. The big risk, however, is that local transport bodies, under severe financial pressure, will not take sufficiently strategic and long term decisions. In a climate where local authorities are facing significant budget cuts, devolution is likely to lead to further cuts to bus services. 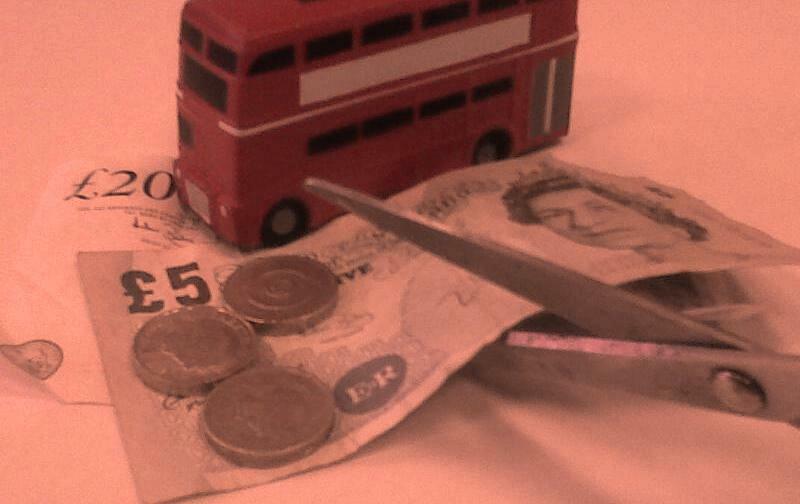 Research by the Campaign for Better Transport reveals that 41% of local authorities have already cut bus services this year, and this follows cuts made in 2011/12, when one in every five council supported bus service was withdrawn or reduced. At a time when the Government is trying to stimulate economic growth, there is the real risk that some of these decisions will impact adversely on parts of the transport network which provide essential access. Buses are already under threat by a shift in emphasis to capital expenditure, and the devolution of funding poses further risks. Yet bus commuters generate £64 billion in economic output. In the search for ideas on how to re-invigorate the high street, policy makers would do well to bear in mind that people use the bus to make shopping and leisure trips to the value of £27 billion. Buses do not only provide life-line to many, but are also crucial to supporting the wider economy – and yet too often it is funding for buses that is squeezed. There is a clear need to redress this balance, and for a national policy framework that supports the vital contribution made by all parts of the transport network.